Sign up for our Monthly Free foursome for 18 holes and cart. Check us out on Facebook!! Tee off at the Jewel of the Ozarks, Fourché Valley Golf Club. 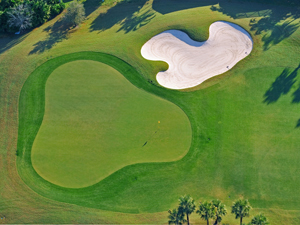 A golfing experience you’ll never forget. A premier Missouri golf course, Fourché Valley in Potosi, Missouri is called the Jewel of the Ozarks, and with good reason. You’ll enjoy challenging golf near St. Louis at any level, near a 360 acre lake in a spectacular wooded setting at the YMCA of the Ozarks. While you are playing the 9-hole golf course, your family can enjoy boating, swimming, horseback riding, crafts and much more, while staying at beautiful Trout Lodge. Perfect for business meetings, team building and conferences, too. A golfer’s delight, Fourché Valley is as challenging as it is beautiful. Experience this spectacular course as a day trip, or extend your visit with an overnight stay at nearby YMCA Trout Lodge. Fourché Valley and YMCA Trout Lodge are a perfect combination for corporate outings, charity tournaments, reunions, or even a weekend getaway with your family. Just 90 minutes from the Arch, Fourché Valley and YMCA Trout Lodge are a winning combination! Far enough to get away…yet close enough to come every day.